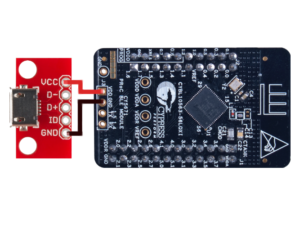 This sensor is powered with a mobile power bank and uploads its measurements through Bluetooth on your phone. You can move it around and measure in multiple locations. 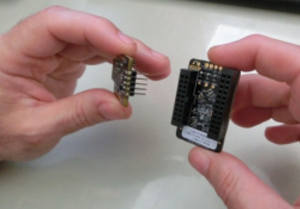 The sensor is based on PSoC (Programmable System-on-Chip) and costs ca. 50 EUR. A printable version of this tutorial is available. If you need soldering instructions, check out this tutorial: Introduction to soldering. 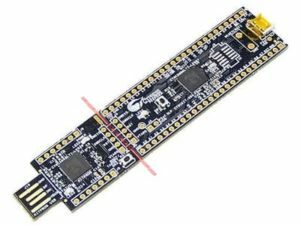 Solder a 5-pin header to the programming tool. 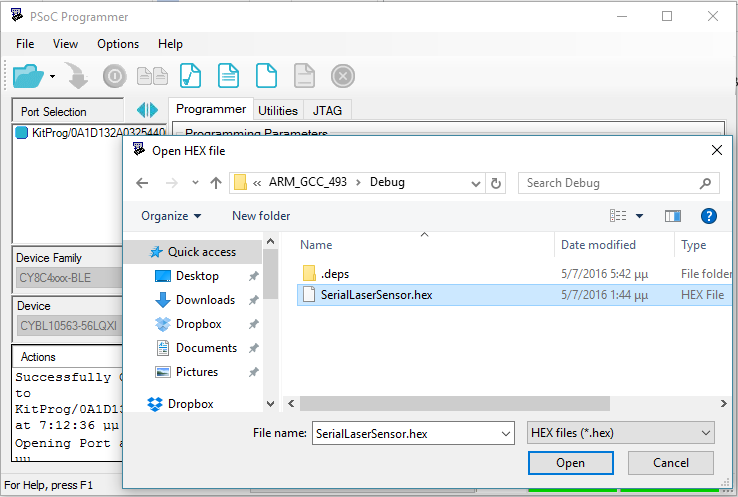 .hex file for your sensor from https://github.com/hackair-project/hackAIR-PSoC. 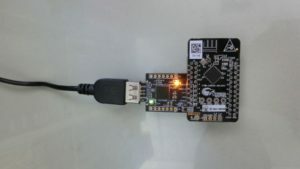 Connect the programming tool to the PSoC and a computer. The location is marked as PROG on the board. 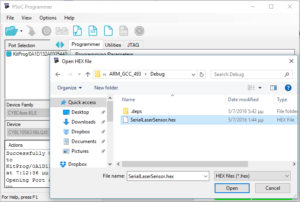 Launch PSoC Programmer software: Open the .hex file. Select the device and click ‘Program’. Disconnect and power the device using the power bank. 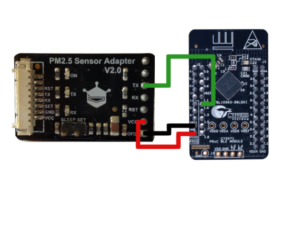 Login or create an account, then go to Profile > Sensors > Add a new sensor. 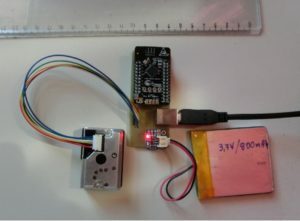 Give your sensor a name, add a location and set the sensor type to ‘hackAIR mobile’. Save. Select the menu in the top left corner and go to ‘Send hackAIR mobile measurements’. You might be prompted to switch on Bluetooth. Wait a moment while your sensor uploads measurements. You can see all your measurements when you go to your Profile > Sensors. If you run into problems or have questions, check out the hackAIR FAQ – or contact us.